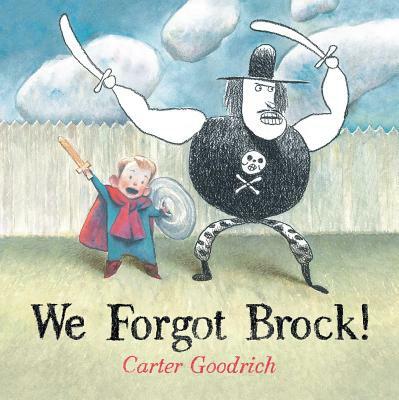 The importance of imaginary friends is very real in this picture book adventure from the author of Say Hello to Zorro! and lead character designer for Despicable Me, Finding Nemo, and Monsters, Inc.
Phillip and Brock are best friends. Everyone can see Phillip, but only Phillip can see Brock. A night at the Big Fair is all fun and games until Phillip gets sleepy, heads home, and forgets Brock! Brock misses Phillip. And Phillip misses Brock. Will they reunite? With the help of another pair of pals, they just might. Because even imaginary friends get lost sometimes. Finding them is part of the adventure. *"Hilarious and heartwarming in equal measure." * "What starts as a familiar story of pretend play and dramatic irony turns into something stranger and more beautiful—a Möbius strip of fantasy and reality, with happy endings all around"
"Goodrich’s illustrations perfectly portray the drama and humor of life with an imaginary friend."